We love our tablets, smartphones, and HDTVs. Like it or not, technology is here to stay, so we might as well learn how to take care of our gadgets and keep them in excellent condition--after all, you might want to sell your current model on eBay the moment your favorite company releases a new model. But before you reach for your “All-in-One” cleansing solution, you might want to check out our tips below. 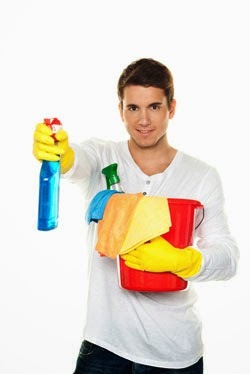 As a matter of fact, your home use cleaning products should be kept as far away from your gadgets as possible. I promise this is relevant to technology. Rugs and carpets are dust houses. Think of all of the traffic they experience throughout the day--the dirt they take in from your shoes or your pets. Now stand in your living room and look up. Hey! When’s the last time you cleaned that ceiling fan? If you look closely at the blades, you might notice a collection of dust bunnies along the edges. This combination of dust from above (and below) will show up quickly on glassy surfaces--you know, like the surface of your television. So, make sure you don’t ignore these areas. They need to be cleaned more often than you think. Since we’re on the topic of dusting, whenever you dust your household surfaces make sure you do so with a damp cloth. Even a bit of water will work better than dry dusting. 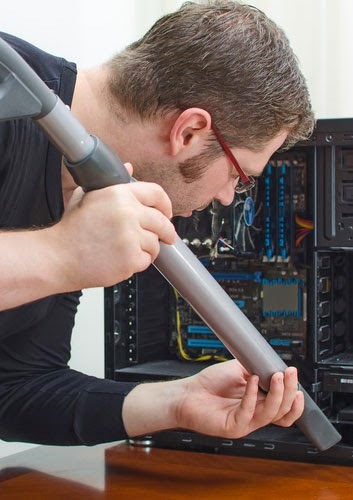 Remember, the less dust there is at home the less dust will float onto your gadgets. products we apply on our body also contribute greatly to dirty gadgets. Hand creams can make the fingerprints on your smartphone and tablets last a lot longer. Foundation and powder, or even sunscreen, will also adhere to your smartphone screen if you rest your phone between your cheek and your shoulder when you try to chat hands-free. Try to keep your face away from the phone and avoid applying creams and lotions if you’re going to be using your devices frequently. Microfiber cloths can be purchased anywhere from your local supermarket to the dollar store. We suggest stocking up on them, because these amazing little cloths can help you clean everything from your counters to your bathrooms--and your electronics! Because of the textured surface of the microfiber cloths, these guys are perfect for cleaning your gadgets without any water or cleansing solution. Do not put Windex on ANYTHING electronic. While you might think the “glass” of your gadgets is the same as the glass of your bathroom mirror or your windows, you couldn’t be more wrong. The ingredients in Windex can damage your screens. If you want to use a cleaning solution make sure you choose wipes or a spray made specifically for cleaning electronic devices. So there you have it! Pick up that microfiber cloth and make your gadgets look like new again--just leave out the Windex.